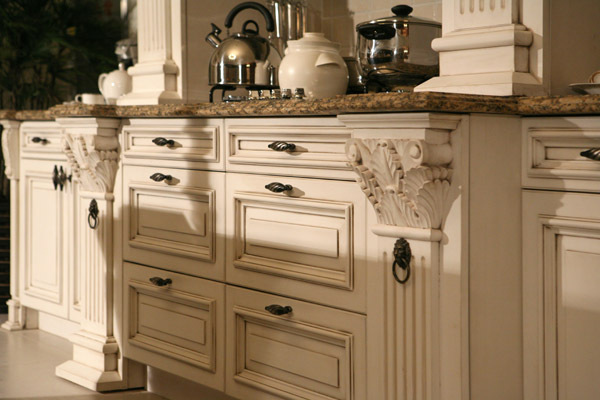 Cabinets are the most visible art of your bathroom and kitchen. 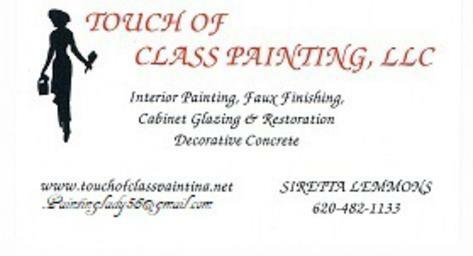 They can make the room look fantastic and welcoming or drab and dreary. 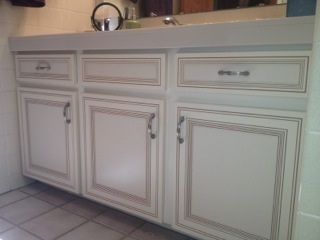 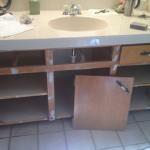 Over the years, from grease and other build-up, cabinets may appear dirty or dingy. 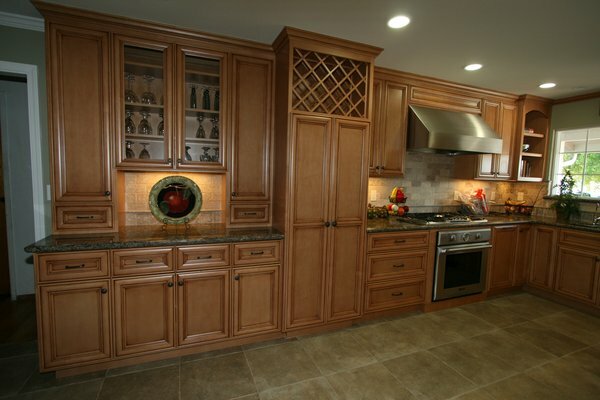 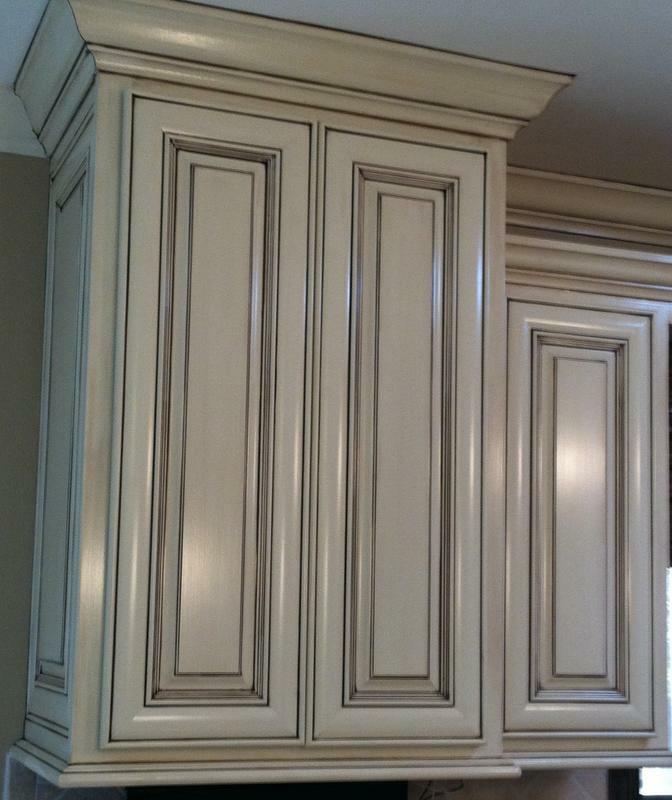 If your cabinets need a face-lift and you are considering a make over, glazing can add depth to molding and other recessed areas of cabinetry. 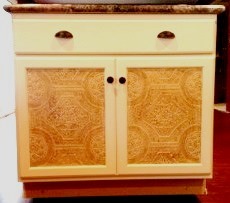 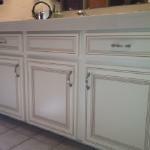 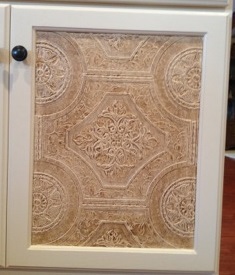 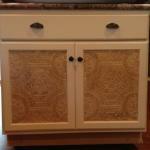 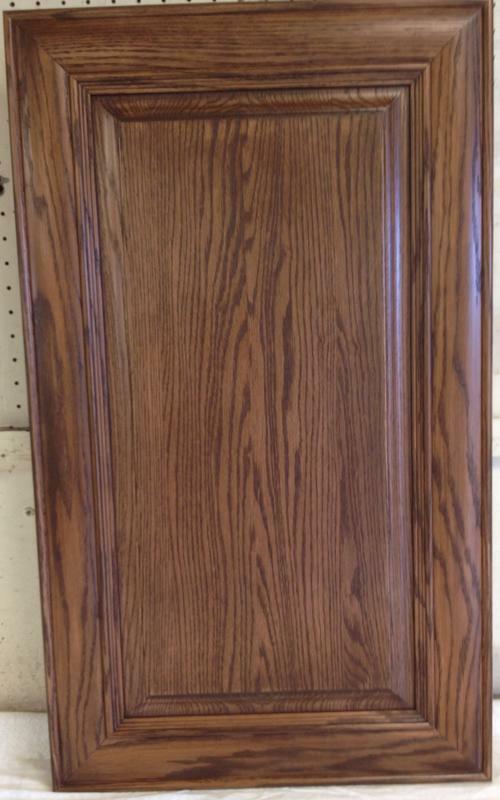 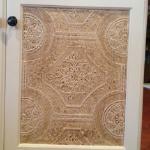 Overall, the cabinet has a distressed and antiqued appearance. 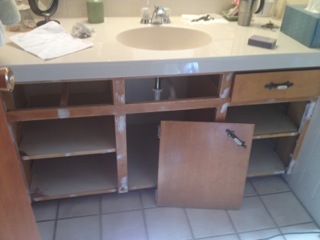 This was a bare wood cabinet island from Home Depot. 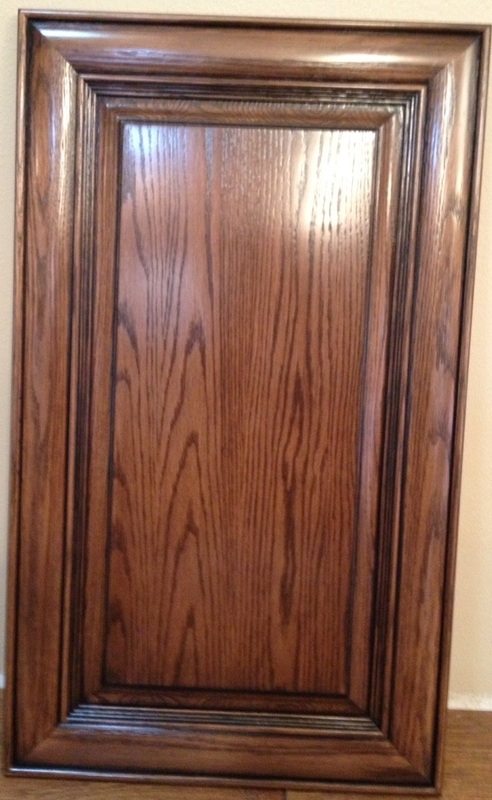 We applied texture-paintable wall paper to the door inserts then primed/painted the entire piece and glazed the inserts with stain.